Anytime an accident happens, the use of a seat belt can not only prevent more serious injuries from occurring, but it can also be life-saving. Using a seat belt protects vehicle occupants from injuries which would usually be much more severe without a seat belt restraining their body during the chaos of a crash. 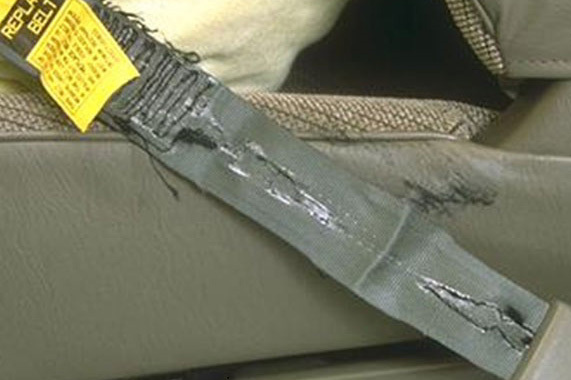 When seat belts are not used, even a simple car accident can have devastating consequences. Unfortunately, wearing a seat belt is not guaranteed to offer the same protection if the seat belt is defective. If a seat belt's fabric is weak and rips in the midst of a crash, the injuries suffered by the victim can be catastrophic. The Willis Law Firm is committed to helping victims of defective seat belts obtain the justice they may deserve from the vehicle's manufacturer. If you or a loved one was injured in an accident because of a defective seat belt, contact our offices today at 800-883-9858. During rollover accidents, the seat belt is especially important. Without a seat belt, occupants are often thrown from the vehicle during rollover accidents. If you or a loved one was injured in a car accident and the seat belt failed to do its intended job, the Willis Law Firm may be able to help you obtain compensation for your injuries. To speak with a qualified and reliable member of our legal team, contact us today at 800-883-9858.